Neale was the first to develop money curriculum for children, entitled The One and Only Common Sense/Cents Series and a CD-ROM called Money Town, both created for children Pre-K through High School. As a former Nationally Syndicated Columnist for the Associated Press, Neale has published countless articles in newspapers and magazines throughout the country. Neale’s current program, LIFE, INC: The Ultimate Career Guide for Young People, includes a Teacher’s Guide, Student Journal, and a web site, all sponsored by the Deloitte Foundation. This program serves over one million middle and high school students. The LIFE, Inc. video and program recently received the Mercury© Communications Award. Her latest work, ECO-Effect®: The Greening of Money, combines ECOnomics and ECOlogy to show adults and children how they can save money while also saving the environment. The program consists of a book, web site, blog, lessons for school, lessons for home, games and activities to link parents, children, businesses, schools, communities . . . and the world so that together we can raise our consciousness and change habits. She has served as a National Spokesperson for such companies as: Aetna, Microsoft, Coca-Cola, Fidelity, Quaker Oats, Nuveen and AOL-Time Warner. She is a professional speaker for both domestic and international audiences. Neale has often appeared as a financial expert on programs like The Oprah Winfrey Show, Good Morning America, The Today Show, CNBC, CNN, etc. She also starred in the PBS special Your Money, Your Children, Your Life. Neale is currently Nickelodeon’s Financial Expert on NickJr.com. Neale has been honored with awards such as “Woman of the Year”, “Banker of the Year”, “Child Advocate of the Year”, and the Femme Award from the United Nations. 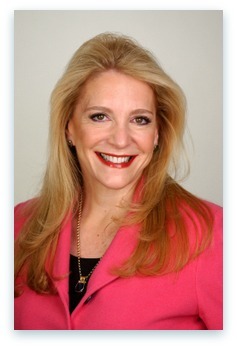 Most recently, Neale was recognized as one of New Jersey’s “50 Best Women in Business”, and she was National Winner of w2wlink’s Ascendancy Awards for Business Women. Despite these achievements, what her kids really think is cool is that she was a question on Jeopardy! and an answer in The New York Times crossword puzzle! Neale has served on White House and Governor’s Task Forces, as well as on the Board of Directors of The New York Board of Trade, UNICEF, University of Charleston, Morris County Chamber of Commerce, and YPO. Currently, she is on the Board of Directors of U.S. National Committee for UN Women. She also serves on New Jersey’s State Employment and Training Commission Council on Gender Parity in Labor and Education. Neale represents North America on a YPO Global Taskforce called RISE, which is creating an international ecological movement, and serves on the Advisory Board for an environmental sustainability outreach movement to “Green” Fayetteville, Arkansas, called Eco-Logical Communities, Applied Sustainability Center at the Sam M. Walton School of Business, University of Arkansas. She is also a faculty member of the Entrepreneurship Bootcamp for Veterans with Disabilities (EBV), which offers cutting edge, experiential training in entrepreneurship and small business management to post-9/11 veterans with disabilities resulting from their service to our country.